BEIJING, China — A renewed call for Middle East-style democracy protests in China urged citizens to take an afternoon stroll at arranged locations each weekend and demanded that authorities release activists who apparently remained in custody Wednesday. Letters posted online by the unidentified organizers said sustained action will show the Chinese government that its people expect accountability and transparency that doesn't exist under the current one-party system. "We invite every participant to stroll, watch or even just pretend to pass by. As long as you are present, the authoritarian government will be shaking with fear," said the letter, posted Tuesday on U.S.-based Chinese-language news website Boxun, which is blocked on the Chinese internet. Because of China's extensive Internet filtering and monitoring system, few Chinese were likely to know about the protest campaign. Twitter and Facebook, which were instrumental in Egypt's protest movement, are blocked in China. Tech-savvy Chinese can circumvent controls using proxy servers or other alternatives, but few of the country's Internet users seek out politically subversive content. Only a handful of people were known to have actively participated in the initial attempt to stage rallies in 13 cities this past Sunday. China's authoritarian government is ever alert for domestic discontent and staged a show of force to squelch any protests, stepping up police presence in the streets, disconnecting some text messaging services and censoring Internet postings about the call to protest. The source of the online campaign, which first circulated on Boxun, was not known and activists have said they weren't sure what to make of it. The postings call for a "Jasmine Revolution" — the name given to the Tunisian protest movement — and urged people to shout, "We want food, we want work, we want housing, we want fairness" — a slogan that highlights common complaints among Chinese. Ahead of the planned protests this past weekend, human rights groups estimated that anywhere from several dozen to more than 100 activists in cities across China were detained by police, confined to their homes or were missing. Several were apparently still in custody on Wednesday, including prominent activist lawyers Jiang Tianyong, Teng Biao and Tang Jitian, and writer Gu Chuan. All of their mobile phones had been switched off, which is common when activists are taken away by authorities. "We urge the authorities to release the illegally kidnapped activists as soon as possible, otherwise this weekend we will organize another Jasmine Revolution protest on a larger scale to protest the illegal persecution of these people," a letter posted on the Boxun blog said. Jiang's wife, Jian Bianling, said her husband was taken away Saturday and agents who came to their Beijing home later in the day identified themselves as city police officers and confiscated Jiang's computer. "I don't know what's going on or where he's being locked up. I'm going to hire a lawyer to help me find him," she told The Associated Press. Beijing police did not immediate respond to a fax asking whether they had any of the activists in custody. Dharamsala, Feb 23: US Ambassador to India Timothy J. Roemer will arrive in Dharamsala later today on a two-day visit during which, among other things, will meet the exiled Tibetan leader His Holiness the Dalai Lama. The US Ambassador is scheduled to meet the Tibetan leader at his official residence tomorrow. "Everything is positive. The outcome (of the meeting) will also be positive. Of course, they met before too...once in Delhi," IANS quoted Chimme Choekyappa, private secretary to the Dalai Lama, as saying today about the purpose of the visit. The Himachal Pradesh state government, according to the report, has declared Roemer a state guest. "The US ambassador is coming on a two-day visit. The envoy will be accompanied by his wife," the Deputy Commissioner (Kangra) R.S. Gupta told the news agency. As per the programme schedule, made available by the state government, the US ambassador will visit a school for Tibetan children and then have an audience with the Dalai Lama. The envoy's programme also includes inauguration of a reception centre for newly-arrived Tibetan refugees in lower Dharamsala later today. Top officials of the Tibetan Government-in-Exile functionaries, including Tibetan Prime Minister Prof. Samdhong Rinpoche, are expected to accord a ceremonial welcome to the US ambassador on his arrival at Gaggal airport near here. During his meeting with the Dalai Lama, Roemer is also expected to discuss issues relating to Tibetan exiles. This would be the third highest official-level group to visit this town since March 2008, when US House Speaker Nancy Pelosi came to meet the Tibetan leader amidst ongoing widespread unrest against Chinese rule in Tibet. In September 2009, a high-level group led by White House advisor Valerie Jarrett, accompanied by US State Department Under Secretary Maria Otero, visited Dharamsala, the seat of Tibet's government in exile, to apprise the Nobel laureate and his functionaries on the best way the US could assist in the resolution of the Tibetan issue. Earlier this month, Otero, who is also the US government's special coordinator for Tibetan issues, visited India, Nepal and Bhutan, and met Tibetan officials as part of an effort to review the "specific challenges" faced by Tibetans in the region. (TibetanReview.net, Feb18, 2011) The Lhasa-Xigaze railway, the first extension of the Qinghai-Tibet Railway which opened in Jul 2006, will be completed by 2015, reported China’s official Xinhua news agency Feb 16. The report said the project will be completed as one of the Tibetan Plateau region's key construction projects during the 2011-2015 period when work for building a railway line to Nyingtri will also begin. 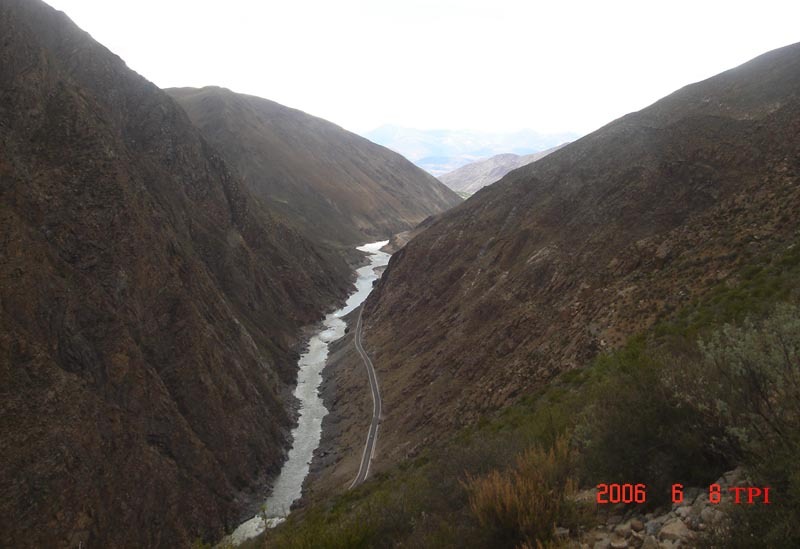 The report said the 253-km new line will pass through five counties as well as the 90-km-long Yarlung Zangbo Grand Canyon in Menling County of Nyingtri Prefecture. Construction has been on since Sep 2010, with a budget of 13.3 billion yuan (US$ 1.95 billion). The report said that apart from carrying passengers, the new railway line will have a freight capacity of 8.3 million tonnes per year. It added that with the new airport that opened in Shigatse in Nov’10, the new railway line will play a vital role in boosting tourism and accelerating the transport of natural resources. Xigatse (Tibetan: Shigatse) is the second largest city in the Tibet Autonomous Region (TAR) after Tibet’s capital Lhasa and is also populated predominantly by Chinese immigrants. 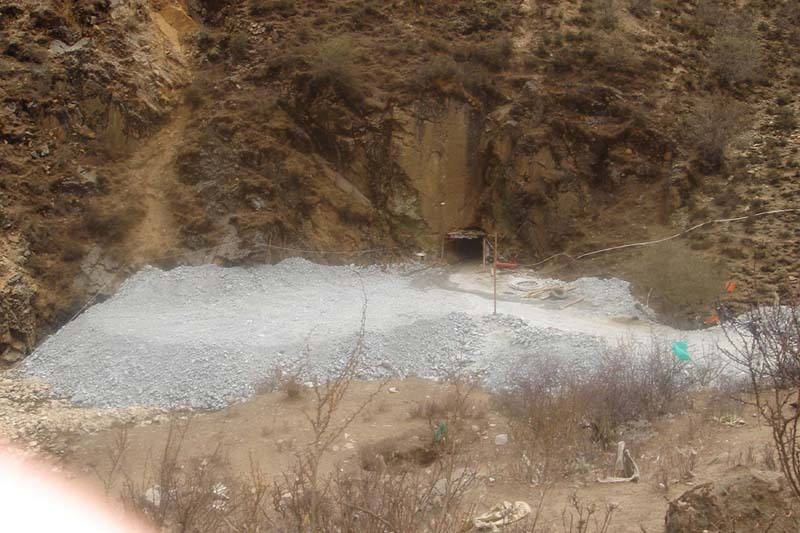 The report also said that within the period of 2011-15, work will begin for the building another extension of the railway, which will be from Lhasa to Nyingchi (Tibetan: Ningtri), and will be completed in the next five years. Beijing: Chinese security officials have questioned or detained scores of activists and warned others against staging protests after an online call was made for demonstrations in 13 cities, campaigners said. The message – posted on an overseas website on Saturday – was titled "The jasmine revolution in China". It came as the Chinese president, Hu Jintao, urged top officials to "improve social management capabilities", sustain order and handle online information better "to guide public opinion". The Xinhua state news agency said the meeting in Beijing was to help leaders to understand "new changes and characteristics in the domestic and international situations". The message posted said: "You and I are Chinese people who will still have a dream for the future ... we must act responsibly for the future of our descendants." Wang Songlian, of the Chinese Human Rights Defenders network, said more than 40 campaigners or dissidents had been summoned or questioned by police or placed under "soft detention" at home or elsewhere. "[The message] linked it to the jasmine revolution and I guess that made the government nervous," she added. "It really shows us how much the government has identified with regimes in the middle east where people are so aggrieved about social injustice." The Associated Press named him as 25-year-old Liu Xiaobai, who told them: "I just put down some white flowers, what's wrong with that? I'm just a normal citizen and I just want peace." One bystander said: "I was here for the demonstration, but there were so many police. "There's no freedom, and the government don't care about us ordinary people. But what can you do?" Another said: "It didn't work. But it will happen. Maybe you have to look 10 years out in the future, but it will." Unusually, Xinhua reported that police had detained three people after crowds gathered at the People's Square in Shanghai. China's most popular microblog blocked searches for "jasmine" and attempts to include the word in status updates on a social networking site were greeted with a warning to refrain from inappropriate postings. The rights lawyer Pu Zhiqiang, who said he was being followed, said: "I personally think it's difficult to change a government in China. "But today's gathering shows some changes in our society and also builds and strengthens people's minds. It doesn't help if the government controls some dissidents, because this gathering is self-organiaed. "But I hope both protesters and police are peaceful. It's very important to be legal." Nicholas Bequelin, the Asia researcher for Human Rights Watch, said: "I think it is significant, not in terms of whether it is going to topple the political system, but in indicating China is not immune from larger global trends about the impact of new communications on people's aspirations." But Li Jinsong, a rights lawyer, told AFP he did not believe the call had been serious. "By taking this so seriously, police are showing how concerned they are that the jasmine revolution could influence China's social stability," he said. London: China is set to announce a new constraint on Buddhist practising in Tibet, with a barring of Buddhist monks outside of China to be recognized as a reincarnation of His Holiness the Dalai Lama. The ban, set to be made law next month would effectively permit the Chinese government to select the future Dalai Lama. The new law stipulates that Buddhist monks in Tibet must seek permission from Chinese communist regime for reincarnation has been described by Chinese state administration for religious affairs as an important move to "institutionalize management of reincarnation". His Holiness the Dalai Lama has made it clear in recent months that the next Dalai Lama will be born and receive religious training in a safe and free environment outside of China. As the new law stands, however, it would seem that two Dalai Lama's would emerge, one Communist state backed and the other religiously supported. This is not the first time the Chinese government has created limitations to reincarnations, in September 2007, the State Administration for Religious Affairs passed a directive stating, "The so-called reincarnated living Buddha without government approval is illegal and invalid." The same law also stated that the 14th Dalai Lama could play no part in the process of seeking and recognizing a living Buddha. Reacting to the development, de facto Prime Minister of Tibet, Samdhong Rinpoche, has accuses China of, "formulating various methods to finish the two major Tibetan religious institutions-Dalai Lama and Panchen Lama as these two were very important for Tibetans." 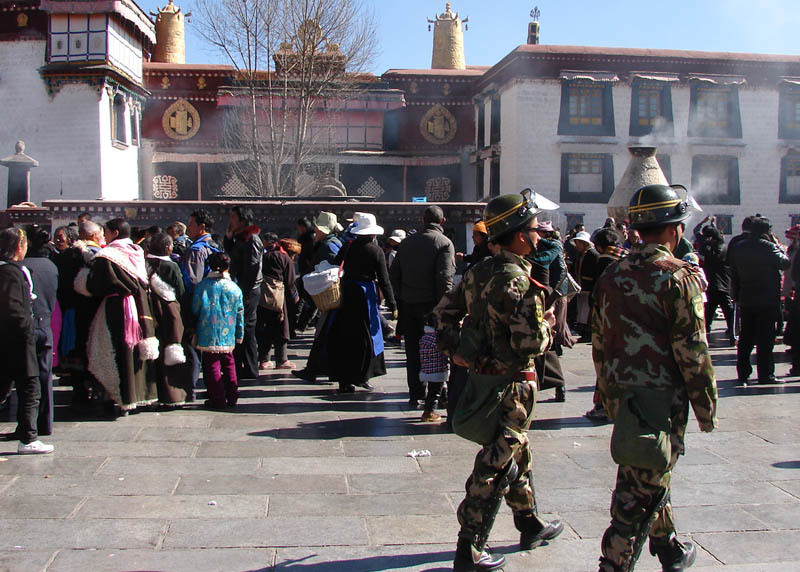 "The new Chinese law is nothing but a ploy to take control of Tibetan religious institutions. He said that China was perhaps waiting for the departure of the Dalai Lama as it believed that his departure would resolve the problem of Tibet itself," he added. To commemorate Tibetan national uprising day there will be a screening of 'The Sun behind the Clouds' at Church House, Church Street in Corsham at 7.30pm on Wednesday 2nd March. Entry is free with teas, coffee and cakes will be available. There will also be a fairtrade stall. 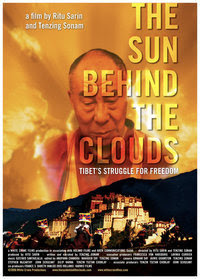 THE SUN BEHIND THE CLOUDS updates the struggle for Tibetan independence, focusing upon the March 2008 demonstration against Chinese rule, the largest ever since the 1959 take-over of that nation. The Dalai Lama, living in exile in Northern India, is interviewed extensively and given the opportunity to explicate his "middle way," a compromise position he has to date been unsuccessful in getting the Chinese to accept. 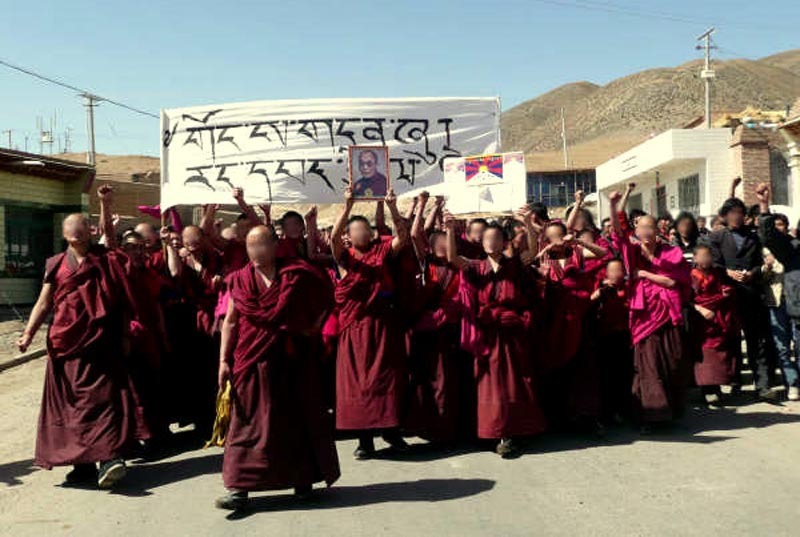 Supporters of Tibetan independence who are devoted to the Dalai Lama, but who nonetheless feel "the middle way" is an ineffective solution, appear in the film, detailing their more militant position. (TibetanReview.net, Feb06, 2011) The Chinese authorities in Sangchu County of Gansu Province had arrested on Dec 16’10 a young Tibetan writer whom it had earlier released on a six-month probation in Oct’10, according to Dharamsala-based Tibetan Centre for Human Rights and Democracy Feb 4. The centre said the reason for the arrest of Kalsang Tsultrim, also known as Gyitsang Takmig, was not known. It said he was summoned to the Tsoe city police headquarters and never released from there. Kalsang Tsultrim had earlier been arrested on Jul 27’10 from Dzoege (Chinese: Ruo’ergai) County of Sichuan Province after he had circulated a VCD recording of himself that was highly critical of the Chinese government rule and policies in occupied Tibet. The hour-long VCD, recorded on Aug 18’09 and numbering 2,500, was said to have been widely distributed in the Tibetan areas of Gansu, Qinghai and Sichuan provinces. Its purpose was stated to be to “educate primarily the illiterates and general Tibetan public” about the "true history of Tibetan struggle for freedom, the Dalai Lama’s call for the genuine autonomy through middle-way approach and human rights situation in Tibet” to counter the “daily dose of government-sponsored propaganda”. It is also said to urge the international community to "act swiftly on behalf of the Tibetan people" to end the repression in Tibet while also calling for the Dalai Lama’s return to Tibet. Kalsang Tsultrim is said to be well known for his writings, especially for a 2008 book which highlights the concerns and aspirations of the Tibetan people. He was earlier a monk at the Gyitsang Gaden Choekorling Monastery in Sangchu (Chinese: Xiahe) county in Gansu Province. In 2005 he joined the Gansu Provincial Buddhist Institute and graduated from there in 2009. Despite international criticism, the communist regime of China is planning to develop three major mineral bases in Tibet in the coming five years amid claims that 102 types of deposits with an estimated value of USD 100 billion have been discovered in the Himalayan region. The Brahmaputra River, or the Yarlung Tsangpo as it is known in Tibet, is the latest target of China's hydroelectric plans. The planned dam is set to be the largest in the world, greater than the Three Gorges Dam in China, and will be part of a 540 megawatts (MW) power generation project due for completion by December 2015. 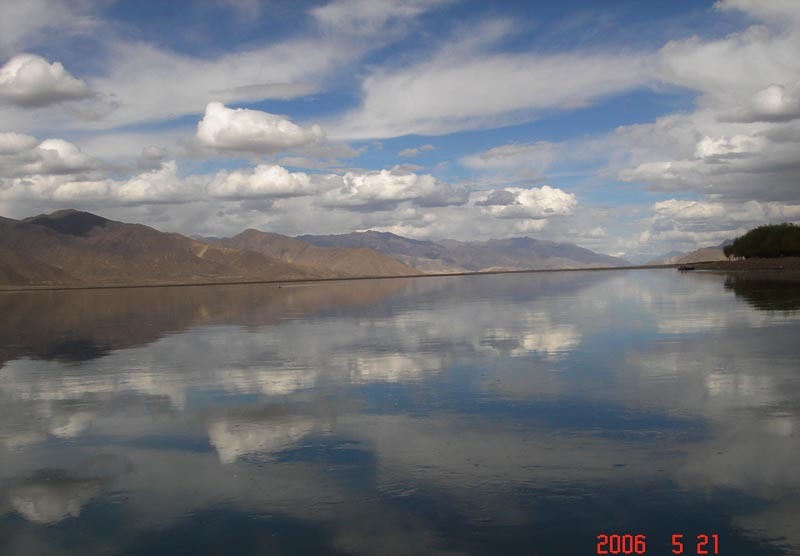 According to several media reports there are 28 other dams either planned or currently construction along the Yarlung Tsangpo, though China are yet to confirm these. New Delhi: Selho Gyal (20) and Tsering Dorjee (18), both students of Tibetan Children’s Village, Suja (Distt Kangra, Himachal Pradesh) started a month long ‘Cycling for Tibetan language’ from Rajghat, Delhi today. The journey was flagged off in the presence of many other Tibetan students studying in different colleges of Delhi and many other Tibetan supporters. This initiative by the two students is aimed to educate Indians, especially targeting Indian students on the language reform in Tibet – Beijing’s mission to exterminate Tibetan language. The two cyclists will also inform Indian public about the importance of protection and promotion of Tibetan language and Culture, which is Tibetan people’s inherent right. Tibetan Language is the foundation of Tibetan culture and the new language policy Beijing is trying to impose on Tibetan reveals the Chinese governments’ deliberate attempt to assimilate Tibetans in Chinese society. Selho Gyal and Tsering are using their winter break to educate Indians on language discrimination faced by Tibetan students in Tibet and promote friendship and trust between Indian and Tibetan students. The two will be cycling for a month from Delhi, Dehradun, Chandigarh and end their journey in Dharamshala, the heart of Exile Tibetan community where the Tibetan Government in Exile is based. This 71-page report draws on more than 60 interviews with correspondents in China between December 2007 and June 2008. It documents how foreign correspondents and their sources continue to face intimidation and obstruction by government officials or their proxies when they pursue stories that can embarrass the authorities, expose official wrongdoing, or document social unrest. Dharamshala: Impulsed by the so called Grassland Law adopted in 1985, and then completed by a series of programs and various guidelines such as the "Tuimu Huancao" ("removing animals to grow grass") and the "Tuigeng Huanlin" ("returning Farmland to Forest") policies, the resettlement of millions of nomads in Tibet is not yet to end. According to the so called regional government, another 185 000 families are expected to move into new homes by 2013. Around 300 000 families in Tibet, involving 1.43 million nomads and farmers were moved into new or fixed settlement homes since 2006. 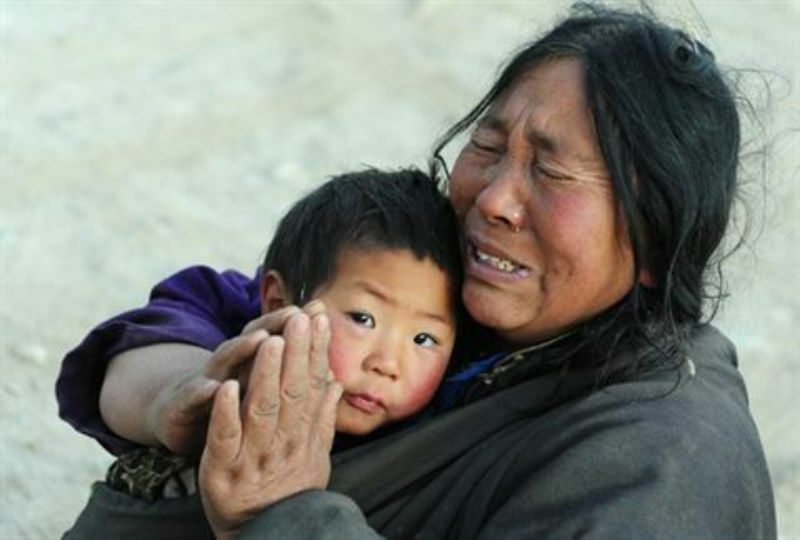 Quoted by the Annual Report 2010 published by the Tibetan Centre for Human Rights and Democracy (TCHRD) this month, this vast initiative led by the Chinese government has been criticized by a bunch of associations as a threat to the Tibetan nomadic culture. Also known as the Western Development Strategy, those programs are presented by Chinese as a way to respond to the degradation of pasture lands and to control disasters in the low lands of the country. If the UN Special Rapporteur on the Right to Food, Olivier De Schutter, notes that there is little doubt about the damages, he however pointed out the limits of this very process in a recent report. Highlighted as a "vulnerable group" in the document, Tibetan nomads have no other option than to sell their herds and resettle. The association Free Tibet explains on its website that the "livestock are seized, and often slaughtered. Compensation is often small and nomads' attempts to complain against the arbitrary measures are ignored by the local authorities". 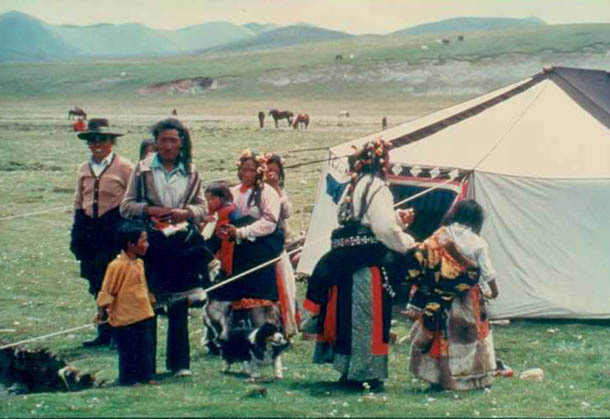 Tibetan nomads are said to have complained that after one year of payment following their settlement, most of them have remained without any means, or government aid, to sustain themselves. For the newly settled nomads, their "lack of education and skills to find employment in Tibet's increasingly urban economy" often leave them in a situation of poverty. Beside the practical issues and the number of critical consequences of the resettlement process, associations also point out motivations that are not only environmental. Nicholas Bequelin, a China researcher for Human Rights Watch, and author of a report concerning the topic, said Chinese spent hundreds of millions of dollars on resettling Tibetan nomads, partly to better control them. "The baseline, of course, is that China has a problem with the Tibetan population, Bequelin said. "They fear that their political loyalties are not with the Chinese state, and that they stand in the way of exploiting the natural riches of these areas, natural riches that are needed to fuel China's economic development." In his recent rapport, UN Special Rapporteur, De Schutter, underlined the contradictions of Chinese attitude, as they ratified the International Covenant on Economic, Social and Cultural Rights that prohibits depriving any people from its means of subsistence, and the 1992 Convention on Biodiversity which acknowledges the importance of indigenous communities as guarantors and protectors of biodiversity (Art. 8 j).